﻿ Biomass Utilization_Products & Services_Jereh Combined Energy Co., Ltd.
Biomass energy is attracting more and more attention worldwide, because it is a potentially CO2 neutral and renewable energy source. 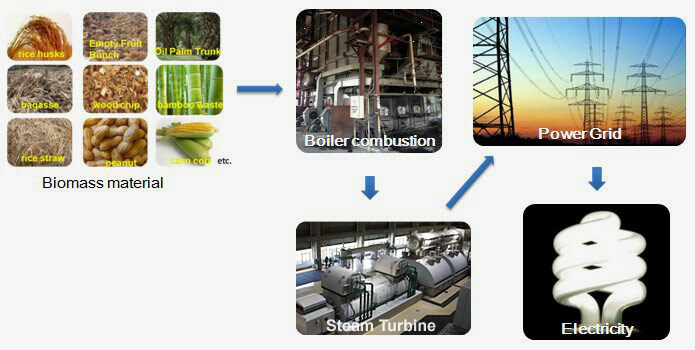 At present, biomass is converted into electricity most often by direct combustion, followed by a steam cycle. With core technology, including biomass feedstock pretreatment, boiler corrosion, materials applicability and high efficiency of the boiler, high efficiency of steam turbine technology, we can provide our customers with complete solutions in biomass power generation.